A privately owned British business based in Keighley Yorkshire, the reputation of April Products has been built on more than two decades of experience in the bathroom sector. In this time, April have been designing and producing exciting bathtubs and the freestanding baths can only be described as one effortless mixture of quality and value. With the delightful range of both Victorian retro styling and stunning modern cutting edge double ended and deep baths, we are sure that these will both catch the eye as well as delight the users. Illustrated below are just three of the wide range that can be seen at the April pages of our website. The Skipton Double Ended Victorian Style Bath is a perfect example of a traditional double-ended, free-standing bath. 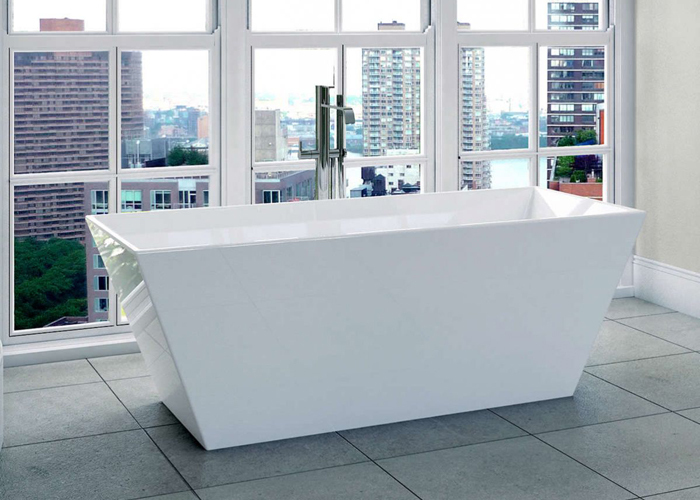 We imagine that this bathtub would be perfect as a centre stage of a modern bathroom. The cut away mid-section allows for the fitting of deck mounted fillers or a mixer. 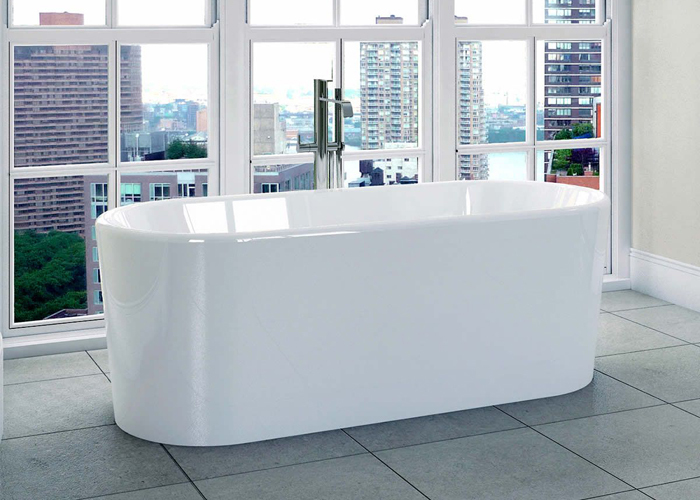 The bath is generous in size and with the inner curves, the users is guaranteed support for a relaxing long soak. 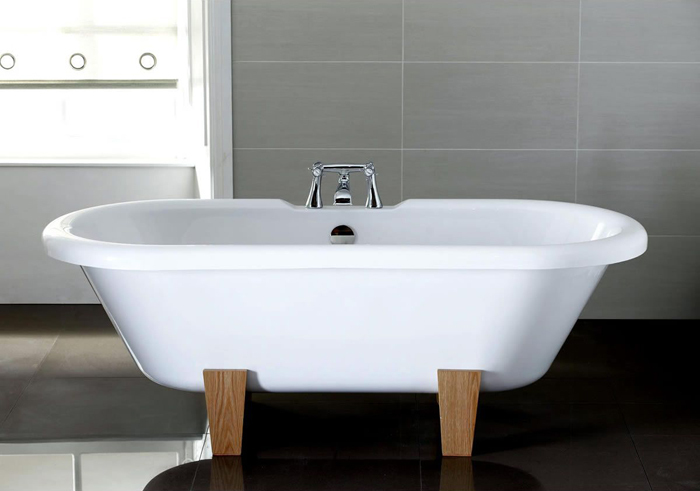 With a range of April bath feet, the bathtub is sure to have grace and style. Although we are showing this with waste and fillers, this is for illustration purposes only and not included in our price. For a stunning example of a thoroughly modern but very functional bathtub, the April Brearton Modern Freestanding Bath is a fine example of Art Deco design. This bath has a shape that is described as being classic oval with a sheer vertical outer panel, definitely designed to take the limelight in a modern contemporary bathroom setting. The exterior does not suggest that this bath is perfectly designed to offer the user true comfort as well as the obvious striking aesthetics. Choose from two lengths, 1500mm or 1700mm respectively, again although the waste is included, the filler is for illustration purposes only. The designers of the Airton free standing bath with its bold shape just demonstrates how they are able to present a highly fashionable luxury bathing unit in a highly contemporary style. Featuring a geometric shape along with the striking angles this bath is just right for a contemporary bathroom. The interior is sloping and with a generous 1650mm, the user has more than ample room to stretch out in comfort for a perfect relaxing soak. If you like the modern and challenging style, then the Airton is just what you may be looking for. This bath requires a standalone filler, which can be ordered separately but a dedicated waste system comes as standard without extra charges. Free shower tray offer extended through August! After the success of our free shower tray offer to celebrate le Tour de France coming to Yorkshire, we’ve decided to extend the offer throughout August to celebrate Yorkshire Day. Yorkshire Day is celebrated on the 1st of August each year, but we love our county so much that we’ve decided to celebrate Yorkshire for the whole month, and providing you with some of the best deals for your new bathroom. 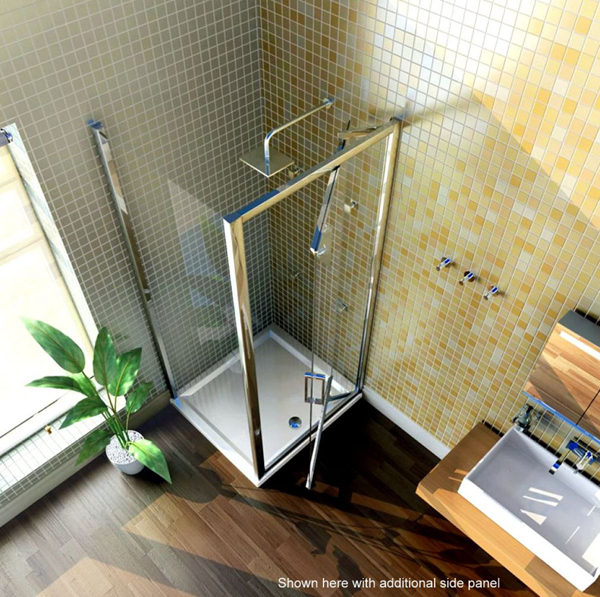 Customers who purchase selected Merlyn Series 8 shower doors and enclosures will receive a free April Shower Tray, and what’s not to like about getting something for free! 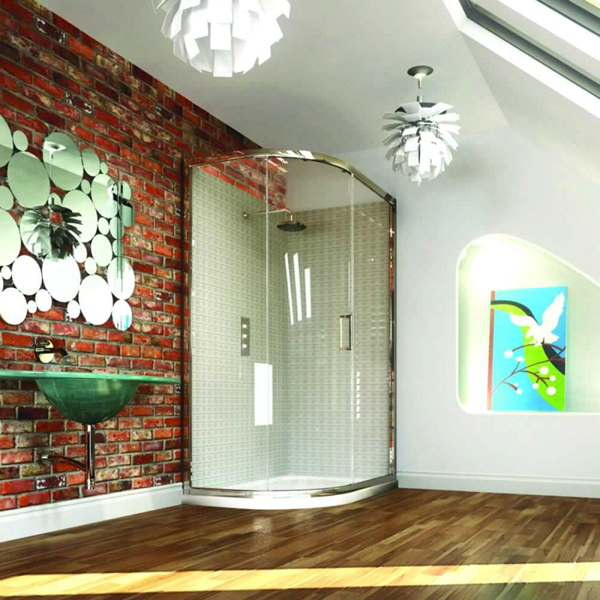 April Products produce a wide range of high quality bathroom accessories right here in Yorkshire, and their shower trays come complete with waste pipes and a lifetime guarantee for peace of mind. This extended offer will end at midnight on the 31st of August, so make sure that you purchase your shower enclosures or doors before then to qualify for your free gift. Merlyn has a wide range of shower enclosures and doors to choose from including quadrant shower enclosures great for those with less space and sliding shower doors, perfect for making a statement in the bathroom. So, join us in celebrating the wonderful county of Yorkshire and get a great deal at the same time.